Please head over there to keep up on my latest articles. I’ve just returned from a fantastic week of diving in northern Michigan. It was sort of a two part trip. On Saturday and Sunday we dove several of the wrecks in the Straits of Mackinac. Monday through Thursday we expanded our scope and dove some deeper wrecks in Lake Huron’s Hammond Bay, about 30 minutes south of Mackinaw City. We stayed in Mackinaw City the whole week and used it as a base of operations. We used Greg Such (Shipwreck Adventures) for our charter needs and as usual, Greg did a great job for us. The weather was near perfect and we got to dive all 6 days. As noted, the first two days of the trip were dedicated to diving a few of the wrecks in the Straits of Mackinac. 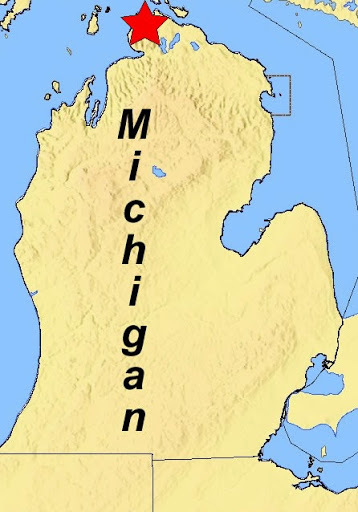 The Straits lie at the northern extremes of Lake Michigan and Lake Huron. The narrow strait connects the two lakes. The five mile long Mackinac Bridge connects Michigan’s Upper and Lower Peninsulas. The Straits has a reputation for being tricky to navigate and a dangerous area owing to storms and fog. Over the years many ships have been lost in the treacherous Straits of Mackinac. The first wreck we dove was the Cedarville. Built in 1927 as the A.F. 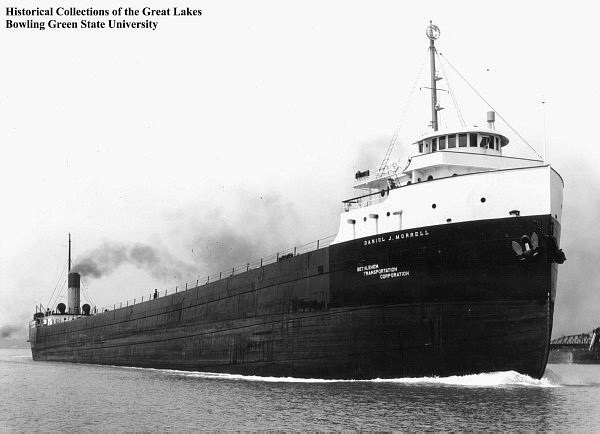 Harv, the Cedarville is the third largest freighter lost on the Great Lakes (after the Edmund Fitzgerald and the Carl Bradley). This 588 foot ship sank in a tragic accident on May 7, 1965 in Lake Huron. An ocean-going Norwegian freighter collided midships with the Cedarville in foggy weather. Ten men died when she rolled and sank in 37 degree water. The Cedarville lies on her starboard side broken nearly in two in 105 feet of water. Because she is partly inverted, divers can become disoriented on her. The hull can be reached at about 40 feet. The bow and stern sections are generally both buoyed. Divers can visit the pilothouse and large holds. The stern features the galley, crew quarters and of course, the engine room. For our first dive, we moored to the stern buoy. Dropping down the line, the hull quickly comes into view. We descend all the way to the bottom so that we can explore the deepest part of the wreck first, and then finish up on the shallower side. We start by entering the engine room. There are few things more dangerous than going inside a wreck underwater. Don’t even think about it unless you are properly trained, equipped and experienced. And then consider it carefully before going in. Since the ship is tilted about 45 degrees short of upside down, it can be disorienting inside. Nothing is level or where it should be. It is also silty inside, so care must taken to preserve visibility. I swim around the massive engine. Forward is the electrical panel. Machinery of every size and shape is everywhere. After an all too brief visit, it’s time to head back up to the boat. For dive 2, we move to the bow mooring and explore the front part of the wreck. It’s interesting to explore the nearly upside down pilothouse and see the radar mast stuck in the bottom, like a kickstand holding the wreck from rolling over. We swim around the forward end of the self unloader boom and the first cargo hold or two. Then back to the bow and up the line. The next day we motor out of Mackinaw City and head to the west side of the bridge. First up, the Eber Ward. The 213 foot long Eber Ward was built in 1888. She was cut by ice and sank on April 9, 1909 in Lake Michigan. She is upright and mostly intact and is an excellent example of a classic wooden bulk freighter. Her deck is at about 110 feet and the bottom at 140 feet. Her port bow has a large and unique “mushroom” anchor. A conventional anchor rests on her starboard bow. Large holes can also be found in the bow where the ice sliced open her hull. Dropping down the mooring line, we find ourselves at the bow of the wreck. The first order of business is to drop over the port side and check out the mushroom anchor. Then up on deck, drop through a hole and swim up to the bow area. From inside the wreck, the ice damage is apparent as light streams in through the large holes at the water line. We stayed inside and swam to the stern to see the engine. After exiting the wreck, we looked around the stern before swimming along the deck back to the mooring line for our ascent. The Sandusky was next on our agenda. The Sandusky is arguably the most popular wreck in the Straits. She is a 110 foot brig, built in 1848. She was lost in a storm in Lake Michigan with all hands on September 20, 1856. She sits upright with a ram‘s head figurehead still gracing her prow. The figurehead is a replica however. The original was removed in 1988 and given to a museum. She is a very popular with divers since she is one of the few well preserved sailing ships in water shallow enough (about 80’) for most any diver to visit. The following day we began our trips to explore the wrecks of Hammond Bay. Hammond Bay is about 35 minutes south of Mackinaw City between Cheboygan and Rogers City, MI. There is a small boat launch there run by the Michigan DNR. For the next few days, we met 7 am and followed Greg as he trailered the boat down to Hammond Bay. Our first dive in that area was the Henry J. Johnson. The Johnson was built in 1888 and was a 260′ wooden steamer. She collided with the Fred Pabst in July 1902 while navigating through dense fog. The Pabst struck her just aft of the bow and the Johnson sank quickly. All hands were able to abandon ship and take to the lifeboats. The Pabst however, never stopped to rescue the survivors. They were picked up several hours later by the tug Parker. The Johnson rests in about 150′. She is in good condition. There is some damage to the bow and the stern has collapsed at about the boiler house. This makes it convenient to examine the engine and propeller. Near the bow, the forward mast has fallen over and juts out from the port rail. Wire rigging trails back to the deck. The next dive in Hammond Bay was the Persian (also called the Persia). She was a 128′ schooner that sank after colliding with the E.B. Allen. The accident occurred in September 1868 and all 10 men on board the Persian were lost. Today she sits under about 160′ of cold Lake Huron water. Her masts have toppled over the port side. It is interesting to swim out to the end of the masts to see the intact cross trees (kind of a crow’s nest). The mizzenmast even has the topmast still attached. Returning to the deck, we swim aft. The cabin is missing, but there are artifacts present and the wheel is impressive. Swimming towards the bow, the collision hole is evident on the starboard side. Reaching the bow, we find the anchors, one on the bottom, one hanging from the catshead. One of the days we were supposed to dive Hammond Bay, Mother Nature threw some wind at us and kicked the lake up a bit. Luckily, the Straits were out of the wind, so we happily headed out of Mackinaw City for another dive on, or more precisely in, the Cedarville. Once again my buddy and I planned a penetration dive for the engine room. Having familiarized ourselves with it on previous dives, we pushed a little farther on this dive and had a nice long dive exploring the interior of the stern of the wreck. This trip went really well and I had a lot of fun. Anytime you plan to dive the Great Lakes six days in a row, you have to expect to get weathered out at least one day, perhaps several. I really expected we would miss a day or two of diving, but the weather was on our side and we had good diving conditions everyday. We also had plenty of time in the afternoon for sightseeing around Mackinaw City and Mackinac Island. This is a great destination for both divers and non-diving spouses and families. Thanks to Greg Such of Shipwreck Adventures for his hard work driving the boat, towing it all over Michigan for us, filling tanks, and finding restaurants. If you’re interested in joining me on a dive adventure, contact me at rick@GreatLakesTechDiving.com and keep an eye on my website, www.GreatLakesTechDiving.com. I can also offer classes in conjunction with trips, so you can combine fun dive travel with education. Even before I became a certified scuba diver I was interested in Great Lakes maritime history and the stories behind shipwrecks. I remember getting “Great Lakes Shipwrecks and Survivals” by William Rattigan for Christmas when I was around 12 years old. I was fascinated. After that I read all the books about Great Lakes ships and shipwrecks I could find. Even today, I find the stories of the wrecks I dive as compelling, if not more so, than the actual wreck. So I thought from time to time I would share some of the stories I’ve learned over the years. The first story I’d like to share with you is the tale of the Daniel J. Morrell. The Morrell is a classic style Great Lakes steel freighter. She was just about 600′ long, with the pilothouse forward, engine room and galley aft, and the long spar deck in between. She was built in 1906 in Bay City, Michigan. By 1966, the Morrell was 60 years old, not exactly a spring chicken. During what was supposed to be her last trip in November, the crew learned that she had to make one more run. Due to mechanical problems with another ship, the Morrell would have to sail from Buffalo, New York at the east end of Lake Erie all the way up to Taconite Harbor, Minnesota on Lake Superior’s western shore. She would sail north in ballast (no cargo) to pick up a load of iron ore to bring back south. The trip across Lake Erie and up through Detroit was uneventful. She sailed up the St Clair River and out into Lake Huron. The weather had been deteriorating steadily. Out on the lake, the Morrell battled winds up to 70 mph and 25 foot waves swept the ship. Around 2 in the morning, the crew heard several loud bangs. The lights in the bow immediately went dark. The general alarm bell sounded and crew gathered on deck. On the bow, survivor Dennis Hale describes coming out on deck and seeing only the top of the smokestack aft. The ship had buckled in the middle and the arching deck obstructed his view of everything but the top of the stack. The ship was breaking in half. The crew on the bow gathered around a life raft that was carried on the spar deck between hatches two and three. The men waited for whatever would happen next. The steel deck plating began tearing amid a shower of sparks and the sound of rending steel. I can’t imagine that horrific sound. It boggles my mind to think that this huge, steel ship was being ripped apart by water. Meanwhile, the stern was still under power and fully lit. The still-moving stern basically pushed the bow out of its way and kept going! The men on the bow were thrown into the water. Some were able to find the raft and climb aboard. Dennis Hale was one. Because cables carrying power to the bow were severed as soon as she started to break up, no distress call was made. The radio had no battery power and there was no radio in the stern, where they did have power. No one knew anything had happened to the Morrell until she failed to show up at Taconite Harbor. The men on the raft drifted for hours. One by one, they passed away. All but Dennis Hale. He survived almost 40 hours adrift on the raft on Lake Huron until Coast Guard helicopters spotted him and picked him up. Dennis has written a book, Shipwrecked: Reflections of the Sole Survivor: an autobiography and is a regular speaker at dive shows all around the Great Lakes. He’s an interesting guy with an amazing story to tell. Look him up and spend a few minutes talking with him if you can. It’s not often we get to talk to shipwreck survivors. The wreckage was located and surveyed, the Coast Guard investigated and issued a report and life went on much as before on the Great Lakes. It was well known that steel made before 1948 did not handle low temperatures well. Basically the steel got brittle when cold. The Coast Guard concluded that there were probably some sort of existing cracks in the steel, perhaps small cracks radiating from rivet holes in beams. The cold temperature and unbelievable amount of stress placed on the ship by the storm, combined with existing cracks caused the steel to fail and the ship to break in half. The wreckage of the Daniel J. Morrell rests on the bottom of Lake Huron off the tip of Michigan’s “thumb.” She is rarely visited by divers due to her distance from shore. Weather conditions need to be very good to make the long trip out to to the wreck sites. The bow section is roughly five miles from the stern section. The bow is a little shallower than the stern at about 150′ to the deck, 180′ to the bottom. The stern is about 180′ deep to the deck and 220′ to the lake bottom. Both sections are sitting upright. The bow section features the forward mast with a large letter “C”, the logo of the Cambria Steamship Company. Divers can explore the wheelhouse, see the anchors and look at the forward cabins. Unfortunately, most of the artifacts from the bow have been removed over the years. The stern section is, in my opinion, far more interesting than the bow. As you descend the mooring line to the wreck, the first thing you see is the smokestack still standing. There’s a huge auxiliary helm, a big double wheel, just aft of the smokestack. Dropping over the stern, you can see the propellor and rudder. The unused lifeboats are there on the bottom as well. It was probably impossible to launch the boats, given the ferocity of the storm. You can swim around the aft cabin structure and peek into open doors of the galley and crew quarters. Some penetration is possible if you have the proper training, equipment and experience. Even then, wreck penetration at this depth is dangerous and not recommended. The Morrell is a deep, potentially risky dive. It is also logistically difficult to pull off. Many is the time that I’ve been up in that area to dive other wrecks and we hit a rare, perfect weather day. A perfect day to dive the Morrell, but we don’t have the right breathing gas or the right team members. Equally frustrating are the days we go up to Harbor Beach, MI with hopes of diving the Morrell, only to find the weather uncooperative. As interesting as the wreck is though, the story of how she ended up on the bottom of Lake Huron is even more fascinating to me. It’s a terribly sad story, yet joyful because Dennis Hale was able to survive. It’s a tale of irony because had the other ship not broken down, the Morrell never would have sailed on this trip. When I visit the Morrell, I feel a sense of reverence and sadness. As I ascend and watch the wreck, sitting upright and intact, fade into the haze, I think that’s a pretty fitting monument to the 28 men who lost their lives on November 29, 1966. Great Lakes wreck divers are justifiably proud of the wrecks we get to explore. Unlike their saltwater cousins, wrecks in the Great Lakes, wooden wrecks in particular, remain in amazing condition even after 100 years of immersion. For me, the Great Lakes comprise the greatest collection of shipwrecks in the world. We have wooden sailing ships, paddle wheel steamers, freighters, whalebacks, even personal luxury yachts to explore; all in excellent states of preservation. But how long will they last? I heard Dave Trotter, the famed Great Lakes shipwreck hunter, say that we are living in the “Golden Age” of wreck diving because the wrecks we have are slowly crumbling and “We’re not making any new ones.” That made me think and re-evaluate my opinion of the wrecks we enjoy diving so much. For years, veteran wreck divers, myself included, have told fledgling wreck divers that the wrecks have been there 100 years and will probably be there another 100. But that may be an exaggeration. Many seem to believe that the cold, fresh water of the Great Lakes halts the natural deterioration of shipwrecks completely. In fact, it only slows down the process. Eventually time will take it’s toll; supporting structures weaken, decks collapse, cabins slide off a tilted deck to rest on the lake bottom. We also have to consider biological agents in the state of a wreck. While we do not have the wood-eating organisms and encrusting corals that destroy saltwater wrecks, we do have organisms such as zebra and quagga mussels. These invasive species attach to stationary objects like shipwrecks. Over time, they can completely obscure details of the wreck, or even the wreck itself. I started diving the wrecks in the Presque Isle region of Lake Huron before the mussels invaded the Great Lakes. While those wrecks are still amazing, many details, like the name boards and other small artifacts, have been completely encased and obscured by the mussels. Off the tip of Michigan’s “thumb” in Lake Huron lies the wreck of the Philadelphia. Part of it’s cargo was wood-burning stoves. When she sank, some of these stoves were strewn about the ship and the lake bottom. It used to be a highlight of diving the wreck to see the stoves. Today, the stoves are just big blobs of mussels. If you didn’t know what they were, you’d just swim past them unknowing. And finally, let’s consider the history of shipping on the Great Lakes and it’s current state. Most of the wrecks occurred about 100 years ago. That’s when there were literally thousands of ships plying the water. There were no interstates, no trucks, no planes, and only a few rail lines in the Great Lakes area back then. The best way to transport goods from, say Wisconsin to New York was to ship it over the lakes. Also remember the lack of technology back then. There was no GPS, no radar, no radios, no cell phones, not a single luxury. Mariners had only rudimentary navigation tools like a compass and sextant to navigate by. Such conditions led to many collisions, some resulting in the wrecks we now dive. Meteorology was in its infancy and there were no organized, reliable weather forecasts. Most captains relied on their own weather experience and the barometer in the wheelhouse to judge the weather. Sometimes their decisions were wise, sometimes not. Once again, due to lack of technology, ships got caught in storms and disappeared. Two’s Company, But is Three Really a Crowd? From the first days of our Open Water Diver course, we are told to always dive with a buddy. Sound advice. Furthermore, we are told that a buddy team should consist of two divers. We are specifically cautioned against diving in a three person buddy team. It’s simply too difficult to keep track of two other people while underwater. Invariably, the third person will be ignored and either get lost or be left to their own devices should he/she have a problem. But how true is this theory? Is it possible a three person team is just as safe as a two person team? Perhaps a three person team is even preferable to a traditional two person team. Undertaking the task of breathing underwater is no small thing. For the past 30 years or so, SCUBA has been marketed as an activity everyone can enjoy. It’s easy and fun. The risks associated with diving have been, in large part, downplayed. While much of the marketing hype is true, it is also an oversimplification. In order to keep the Open Water Diver course manageable, we tend to oversimplify lots of concepts. For instance, we tell students not to exceed no-stop times because decompression diving is dangerous, complicated and is only for commercial divers. What we should be telling them is that they should stick to no-stop dives unless they decide to further their training and learn how to extend their dives times safely. I believe the buddy team concept is also oversimplified during initial training. Students are told that while it’s easy enough to coordinate the dive with one other person, it’s beyond their capability to keep track of two other individuals. Certainly beginning divers can feel task loaded and somewhat overwhelmed during their first open water dives and perhaps a third person may be more a liability than an asset. But with practice, and as the diver gains comfort and ease in the water, a third person may be beneficial. So why bother with a third person? Some forms of diving, technical diving and cave diving most notable, prefer a three person team. During pre-dive planning, the third person offers another point of view. He/she may make suggestions or come up with ideas the others don’t think of. We all have our strengths and weaknesses. The third team member may bring strengths to the team the other two don’t possess. In the water, the third team member may provide many benefits. First, the duties of the team can be spread over three people rather than just two. When assigning tasks such as dive leader, reel person, deco leader, SMB deployment, etc., three people may be better able to handle the jobs. In case of some emergency, we have two rescuers instead of just one. This means we have more contingency gas on hand, in the case of an out of air emergency. 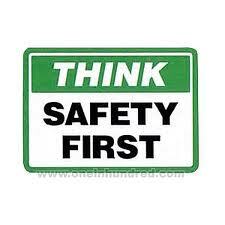 In the case of a diver becoming incapacitated due to oxygen toxicity, heart attack, etc., two people can physically move the victim more efficiently than one. On a night dive or in an overhead environment, an extra person means more back up lighting in case of a failure. In general, it seems preferable to have an extra set of eyes, ears and hands along on a dive. Most importantly, it helps to have an extra brain! If you’re one of those who had the idea that the only “safe” buddy team was a two person team drummed into them during class, I hope I’ve disabused you of that gross oversimplification. A well structured three person team can be as effective as, and even preferable to a two person buddy team.